While common eye issues like cataract and LASIK are being addressed by all eye care stakeholders aggressively, it has been recognized that other, more serious eyeproblems emerge as significant problems both because of epidemiological and demographic transition. 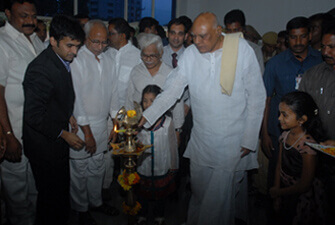 Since most of the efforts & resources in the country for prevention of blindness are channeled to the problems of cataract blindness, there is no good service delivery model for problems related to Diabetic Retinopathy, Age-related macular Degeneration, Retinal Detachment, Uveitis and other potentially blinding diseases of the posterior segment of the eye. Up until 2010, there was no retina specialist or service in the five districts of Rayalaseema and 9 districts of Telangana. All the needy patients were referred to Hyderabad. 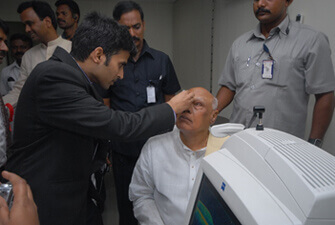 However, there was no eye hospital in Hyderabad that was dedicated to the disorders of retina, vitreous, macula and uvea. Patients were hence forced to go the corporate eye hospitals which were bursting at the seams catering to cataract and general ophthalmology services. This left little time, space, motivation and skilled personnel needed to address complex diseases of the retina and uvea. 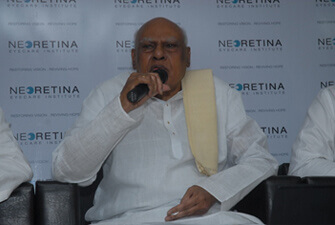 To bridge this gap, the Founder Director Dr. Raja Rami Reddy P. envisioned NEORETINA EYE INSTITUTE (NEI) as a tertiary care referral eye hospital from its inception in 2010. To begin with, it started with complete state-of- the-art surgical and medical retina services along with low visual aids clinic. 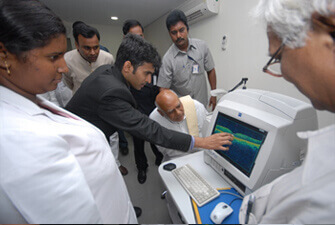 An experienced and skilled surgeon, Dr. Raja Rami Reddy P., has a large referral base including the city of Hyderabad and neighbouring districts of Telangana as well as Rayalaseema and border districts of Karnataka including Gulbarga, Raichur and Bidar, thus catering to the need of a large number of patients with serious and potentially blinding conditions of the eye. With an excellent track record of successful surgeries, treatment of complex eye conditions and keeping up-to- date with the latest technology, Dr. Raja Rami and his team of experts are now entrusted by patients from all over the country and abroad. NEI has an experienced team of eye surgeons, optometrists, trained nurses and technicians led by a core team of experts. The institute also has a state-of- the-art operation theatre complex equipped with the latest operating microscopes, microsurgical equipment and anaesthesia workstations that is designed to handle both routine and complex eye surgeries. 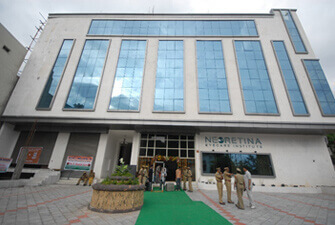 Finally, with a constructed area of 8,500 sft, an inpatient facility, and availability of experienced surgeons and staff, NEI can address the full range of complex vitreoretinal and uveal disorders as well as ocular trauma and emergencies, besides providing general ophthalmology services. 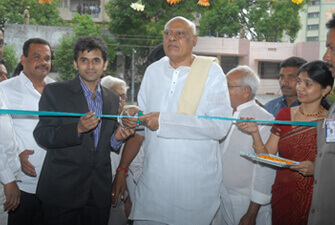 Inauguration in June 2010 by the then Chief Minister of Andhra Pradesh, Shri K Rosaiah.